We're also now on Facebook! The Lambton County Radio Club (LCRC) Inc. was formed in 1982. Our purpose is to promote and foster Amateur (Ham) Radio, electronic experimenting, short wave listening and computer science, as well as to foster the exchange of information and camaraderie. Besides providing communications support to local, provincial and federal authorities during civil emergencies, the club also offers a meeting place where radio amateurs and others can share their ideas and their learning. 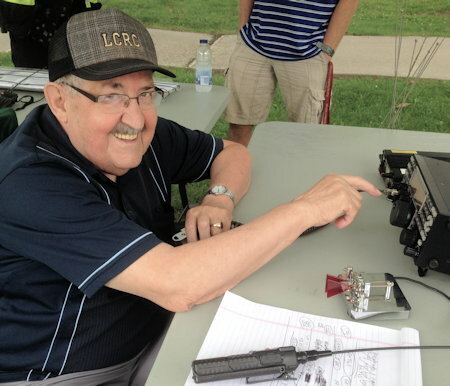 The organization also conducts periodic licensing classes in the theory and practice of radio for those seeking to obtain their Industry Canada certifications as Amateur Radio Operators. Web page design, images and content © 2006-2019 by The Lambton County Radio Club, Inc. All Rights Reserved.